GAO-14-310: Published: Jun 25, 2014. Publicly Released: Jul 29, 2014. 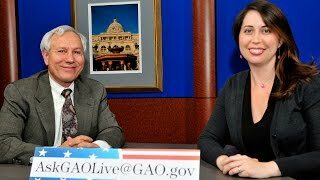 Online video chat with Charles Jeszeck, Director, Education, Workforce and Income Security. GAO's review of eight managed account providers who, in 2013, represented an estimated 95 percent of the industry involved in defined contribution plans, showed that they varied in how they structured managed accounts, including the services they offered and their reported fiduciary roles. Providers used varying strategies to manage participants' accounts and incorporated varying types and amounts of participant information. In addition, GAO found some variation in how providers reported their fiduciary roles. One of the eight providers GAO reviewed had a different fiduciary role than the other seven providers, which could ultimately provide less liability protection for sponsors for the consequences of the provider's choices. The Department of Labor (DOL) requires managed account providers who offer services to defaulted participants to generally have the type of fiduciary role that provides certain levels of fiduciary protection for sponsors and assurances to participants of the provider's qualifications. DOL does not have a similar explicit requirement for providers who offer services to participants on an opt-in basis. Absent explicit requirements from DOL, some providers may actively choose to structure their services to limit the fiduciary liability protection they offer. According to providers and sponsors, participants in managed accounts receive improved diversification and experience higher savings rates compared to those not enrolled in the service; however, these advantages can be offset by paying additional fees over time. Providers charge additional fees for managed accounts that range from $8 to $100 on every $10,000 in a participant's account. As a result, some participants pay a low fee each year while others pay a comparatively large fee on their account balance. Using the limited fee and performance data available, GAO found that the potential long-term effect of managed accounts could vary significantly, sometimes resulting in managed account participants paying substantial additional fees and experiencing lower account balances over time compared to other managed account participants. Further, participants generally do not receive performance and benchmarking information for their managed accounts. Without this information, participants cannot accurately evaluate the service and make effective decisions about their retirement investments. Even though DOL has required disclosure of similar information for 401(k) plan investments, it generally does not require sponsors to provide this type of information for managed accounts. Sponsors are challenged by insufficient guidance and inconsistent performance information when selecting and overseeing managed account providers. DOL has not issued guidance specific to managed accounts on how sponsors should select and oversee providers, as it has done for other funds. GAO found that the absence of guidance for managed accounts has led to inconsistency in sponsors' procedures for selecting and overseeing providers. Without better guidance, plan sponsors may be unable to select a provider who offers an effective service for a reasonable fee. In addition, DOL generally does not require providers to furnish sponsors with performance and benchmarking information for managed accounts, as it does for investments available in a plan, although some providers do furnish similar information. Without this information, sponsors cannot effectively compare providers when making a selection or determine whether managed accounts are positively affecting participants' retirement savings. 401(k) plan sponsors have increasingly offered participants managed accounts— services under which providers manage participants' 401(k) savings over time by making investment and portfolio decisions for them. These services differ from investment options offered within 401(k) plans. Because little is known about whether managed accounts are advantageous for participants and whether sponsors understand their own role and potential risks, GAO was asked to review these services. GAO examined (1) how providers structure managed accounts, (2) their advantages and disadvantages for participants, and (3) challenges sponsors face in selecting and overseeing providers. In conducting this work, GAO reviewed relevant federal laws and regulations and surveyed plan sponsors. GAO interviewed government officials, industry representatives, other service providers, and 12 plan sponsors of varying sizes and other characteristics. GAO also conducted case studies of eight managed account providers with varying characteristics by, in part, reviewing required government filings. Among other things, GAO recommends that DOL consider provider fiduciary roles, require disclosure of performance and benchmarking information to plan sponsors and participants, and provide guidance to help sponsors better select and oversee managed account providers. In response, DOL agreed with GAO's recommendations and will consider changes to regulations and guidance to address any issues. Comments: DOL agreed to include these practices in its current review of investment advice conflicts of interest, noting that such conflicts continue to be a concern. In April 2015, a proposed regulation was published in the Federal Register on the definition of a "fiduciary" of an employee benefit plan under the Employee Retirement Income Security Act of 1974 (ERISA) as a result of giving investment advice to a plan or its participants or beneficiaries. The proposal would widen the array of advice relationships under which someone would be considered a fiduciary under ERISA more broadly than existing regulations. This would increase consumer protection for plan sponsors, fiduciaries, participants, beneficiaries and IRA owners. On April 8, 2016, DOL issued a final rule that clarified that anyone providing advice that is individualized or specifically directed to a participant pertaining to a decision to take, or refrain from taking, a distribution from the plan is a fiduciary. According to DOL, this final rule will better protect plan participants by requiring service providers who provide investment advice to act in their clients' best interest, preventing the erosion of their retirement savings by fees and substandard performance attributable to conflicts of interest. Recommendation: To better protect plan sponsors and participants who use managed account services, the Secretary of Labor should direct the Assistant Secretary for the Employee Benefits Security Administration (EBSA) to review provider practices related to additional managed account services offered to participants in or near retirement, with the aim of determining whether conflicts of interest exist and, if it determines it is necessary, taking the appropriate action to remedy the issue. Recommendation: To better protect plan sponsors and participants who use managed account services, the Secretary of Labor should direct the Assistant Secretary for the EBSA to consider the fiduciary status of managed account providers when they offer services on an opt-in basis and, if necessary, make regulatory changes or provide guidance to address any issues. Comments: DOL agreed to consider this recommendation in connection with a regulatory project on standards for brokerage windows in participant-directed individual account plans. However, in Spring 2017, DOL removed this project as an active project on its regulatory agenda. GAO believes requiring plan sponsors to ask for more than one choice of a provider may be an effective method of broadening plan sponsors' choices of managed account providers. In April 2018, DOL reported that it was not able to allocate staff time and resources to this recommendation and does not yet have a specific timeline for any next action. Recommendation: To help sponsors who offer managed account services or who are considering doing so better protect their 401(k) plan participants, the Secretary of Labor should direct the Assistant Secretary for EBSA to require plan sponsors to request from record keepers more than one managed account provider option, and notify the Department of Labor if record keepers fail to do so. Comments: DOL agreed to consider this recommendation in connection with (1) its regulatory project on standards for brokerage windows in participant directed individual account plans and (2) open proposed rulemaking project involving the qualified default investment alternative and participant-level fee disclosure regulations. In Spring 2017, the project on brokerage windows was removed as an active project on DOL's regulatory agenda, and the project on qualified default investment alternatives was moved to the long-term action category. In April 2018, DOL reported that it was not able to allocate staff time and resources to this recommendation and does not yet have a specific timeline for any next action. Recommendation: To help sponsors and participants more effectively assess the performance of managed accounts, the Secretary of Labor should direct the Assistant Secretary for EBSA to amend participant disclosure regulations to require that sponsors furnish standardized performance and benchmarking information to participants. To accomplish this, EBSA could promulgate regulations that would require sponsors who offer managed account services to provide their participants with standardized performance and benchmarking information on managed accounts. For example, sponsors could periodically furnish each managed account participant with the aggregate performance of participants' managed account portfolios and returns for broad-based securities market indexes and applicable customized benchmarks, based on those benchmarks provided for the plan's designated investment alternatives. Comments: DOL agreed to consider this recommendation in connection with (1) its regulatory project on standards for brokerage windows in participant directed individual account plans and (2) open proposed rulemaking project involving the qualified default investment alternative and participant-level fee disclosure regulations. In Spring 2017, the project on brokerage windows was removed as an active project on DOL's regulatory agenda, and the project on qualified default investment alternatives was moved to the long-term action category of DOL's regulatory agenda. In April 2018, DOL reported that it was not able to allocate staff time and resources to this recommendation and does not yet have a specific timeline for any next action. Recommendation: To help sponsors and participants more effectively assess the performance of managed accounts, the Secretary of Labor should direct the Assistant Secretary for EBSA to amend service provider disclosure regulations to require that providers furnish standardized performance and benchmarking information to sponsors. To accomplish this, EBSA could promulgate regulations that would require service providers to disclose to sponsors standardized performance and benchmarking information on managed accounts. For example, providers could, prior to selection and periodically thereafter, as applicable, furnish sponsors with aggregated returns for generalized conservative, moderate, and aggressive portfolios, actual managed account portfolio returns for each of the sponsor's participants, and returns for broad-based securities market indexes and applicable customized benchmarks, based on those benchmarks provided for the plan's designated investment alternatives. Comments: DOL agreed to consider this recommendation in connection with a regulatory project on standards for brokerage windows in participant-directed individual account plans. However, in Spring 2017, DOL removed this project as an active project on its regulatory agenda. GAO continues to believe that plan sponsors would benefit from additional guidance for selecting and overseeing managed account providers. In April 2018, DOL reported that it was not able to allocate staff time and resources to this recommendation and does not yet have a specific timeline for any next action. Recommendation: To help sponsors who offer managed account services or who are considering doing so better protect their 401(k) plan participants, the Secretary of Labor should direct the Assistant Secretary for EBSA to provide guidance to plan sponsors for selecting and overseeing managed account providers that addresses: (1) the importance of considering multiple providers when choosing a managed account provider, (2) factors to consider when offering managed accounts as a Qualified Default Investment Alternative or on an opt-in basis, and (3) approaches for evaluating the services of managed account providers.